Even Though the Whole World is Burning. WHEN: Sunday, June 8th at 5 p.m. at the McCoy Theater, MACC. its world premiere at the upcoming Maui Film Festival. Even Though the Whole World is Burning offers an intimate portrait of William S. Merwin, renowned poet, writer and environmental activist. 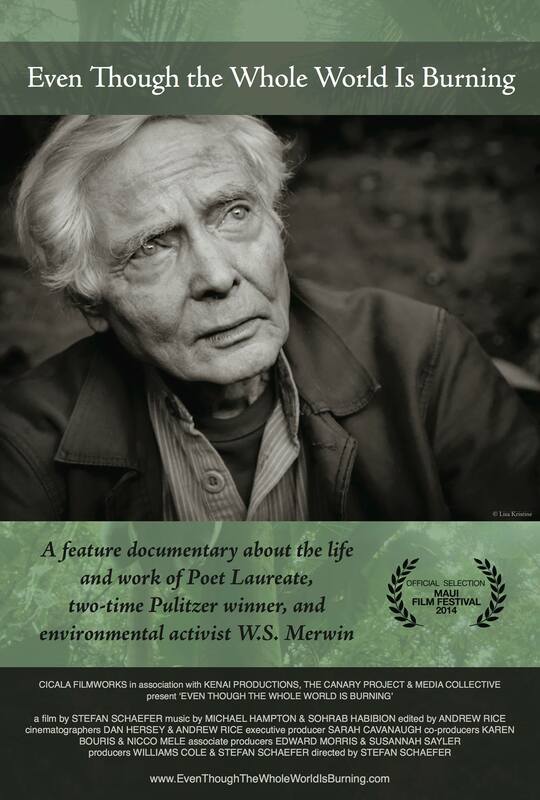 The film features interviews with Mr. Merwin, his family, friends and other notables, and reflects on humankind and our relationship to this wildness called Earth. Directed by Stefan Schaefer. Get a taste: Watch a clip of the film.